Disclaimer: The following are some of the many question and answers that appear in either or “EXPERIAN”, “TRANSUNION” and “EQUIFAX”, the official credit reporting agencies. Your credit report is a snapshot of your credit history that contains information about how much debt you have, how much credit is available to you, and whether or not you make your payments on time. It also contains identifying information and public records, including liens and bankruptcies. Credit reports are used by lenders to make decisions about creditworthiness. Q.1. What is Included in a Credit Report? Q. 2. Should Closed Accounts Be Removed From My Credit Report? Can I get closed accounts with $0 balance removed from my credit report? When you pay off and close an account, the creditor will update the account information to show that the account has been closed and that there is no longer a balance owed. However, closing an account does not remove it from your credit report. Your credit report is a history of your accounts and payments. For that reason, even closed accounts with a $0 balance will remain on your credit report for a period of time. How long an account remains on your credit report after being closed is determined by whether the account is considered positive or negative. A negative account is any account that shows a history of late payments, called delinquencies. If a closed account has a history of delinquency, the account will remain on the credit report for seven years from the original delinquency date. The original delinquency date is the date the account first became delinquent and after which it was never again current. Negative accounts are removed from the credit report automatically once they reach the seven year mark. Experian keeps positive accounts on your credit report longer in order to give you credit for making payments responsibly. If an account is positive, meaning there are no late payments in the account history, it will remain on the credit report for up to 10 years from the date the account was closed. Even after they are closed, accounts that show they were always paid on time will help you establish a strong credit history and boost credit scores, so keeping them on your report is beneficial. Q.3. How Do I Find out Who I Owe Money To? How can I find out who I owe? I would like to know so that I can pay off my debt and clear up my credit. My mother offered to pay off my private student loans. The account is in good standing, but I am negotiating to pay an amount less than the total owed. If there is no negative payment history, but the account shows it was settled for less than the full amount, will this lower my credit score? Again, the account is in good standing, I have always paid – just looking to pay it off now. A settlement on your account will have a negative impact on your credit scores even if there were no previous late payments because you didn’t pay the debt in full, as agreed. Failure to pay the debt in full will always be seen as a sign of risk to future lenders. What Does It Mean to Settle an Account? When a lender agrees to settle an account, they are agreeing to take a financial loss by accepting less than the full amount that is owed to close out the account. This is considered negative because you did not honor the original contract and pay the debt in full as agreed. How Will a Settled Account Affect My Credit? It’s generous of your mother to offer to pay off your loans. However, if you choose to settle your account rather than paying back the full amount that you owe, the status of “settled” on the account will reflect negatively on your credit history — even if you have always made all your payments on time. Settled accounts that were never late remain on the report for seven years from the date they were paid in settlement. Keep in mind that student loans often report separate accounts for each semester that you attended school. If you have multiple loans appearing as settled on your credit report, the impact may be even greater. If you are having trouble making payments on your loans, consider discussing other options with your lender. While it may seem easier to simply agree on a settlement offer, your lender may be willing to work with you and help you develop a plan to continue making on-time payments. If possible, consider using the money your mother was going to give you towards the loans to pay down the debt instead. You may then be able to re-finance the remaining balance so that your monthly payments will be lower. Student loans may have even more options available to manage repayment. Ask your student loan company about alternatives to settling the debt. While settling your student loans is better than not paying them at all, doing so will almost certainly hurt your credit. 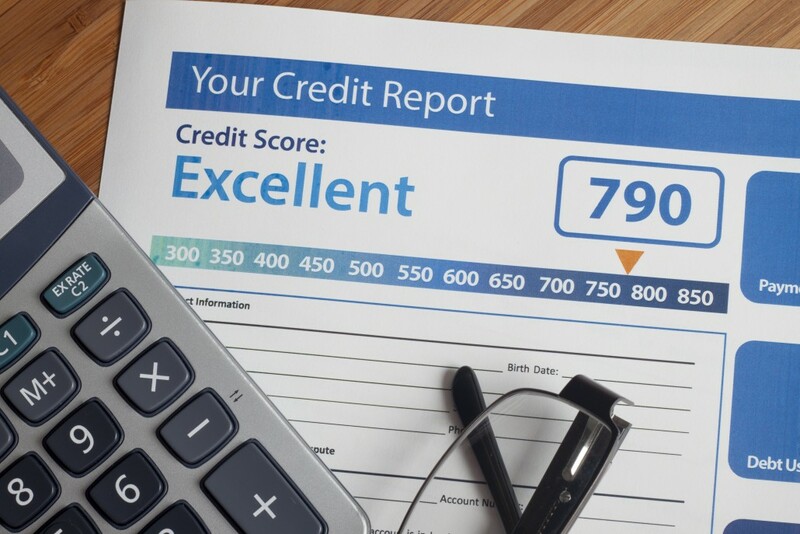 Having a positive credit history is essential to your future – for everything from obtaining a cell phone or a car loan to qualifying for an apartment or a mortgage. If you can maintain your good payment history, it can save you thousands of dollars in high interest fees later on down the road. Q.5. How Long Does It Take to Repair Your Credit? How can I remove collections and late payments and repair my credit report? How long does it take? I would like to buy a house in four months. There is no quick and easy way to “repair” or “fix” your credit. The length of time it takes to rebuild your credit history depends on how serious the financial difficulties were and how severely they affected your credit history. It could take just a few months, or it could require several years of commitment. How Long Will Negative Information Appear on My Credit Report? Negative payment information, such as collections and late payments, will remain on your credit report for seven years, while certain public record information, such as Chapter 7 bankruptcies and unpaid tax liens, remains for up to 10 years. Negative information tends to affect you less and less as time goes on, but serious delinquencies such as charge offs or collections are harder to recover from than one or two missed payments. However, there are ways to begin the process of improving your credit history as soon as possible and as quickly as possible. The single most important factor in determining your credit worthiness is your payment history. If you haven’t already, you should begin by paying off any outstanding debts and bringing any accounts that are currently past due up to date. The second most important factor is your utilization rate. Your utilization rate is calculated by adding up the total of all your credit card balances and dividing them by the total of all your credit card limits. The lower your utilization rate, the better, so reducing or paying off any balances you are carrying on your credit cards will positively impact your credit report and scores. Aside from paying down balances and making sure all your accounts are kept current, you may want to consider ordering a copy of your credit score. When you order a copy of your credit score from Experian, you will receive with it a list of the top factors that are currently affecting the number. Since everyone’s credit history is unique, paying attention to the score factors will help you gain a clearer understanding of what you can do to improve your credit over time. Because your credit report reflects serious delinquencies, such as collection accounts, it may be difficult to see significant improvement in just four months. But, if you keep your balances low and make all your payments on time going forward, your credit score should continue to improve and you will eventually be able to get that house.